While Key West is packed with plenty of on-the-water activities from sunset cruises to snorkeling tours, land-lubbers will enjoy exploring the city's distinctive attractions. 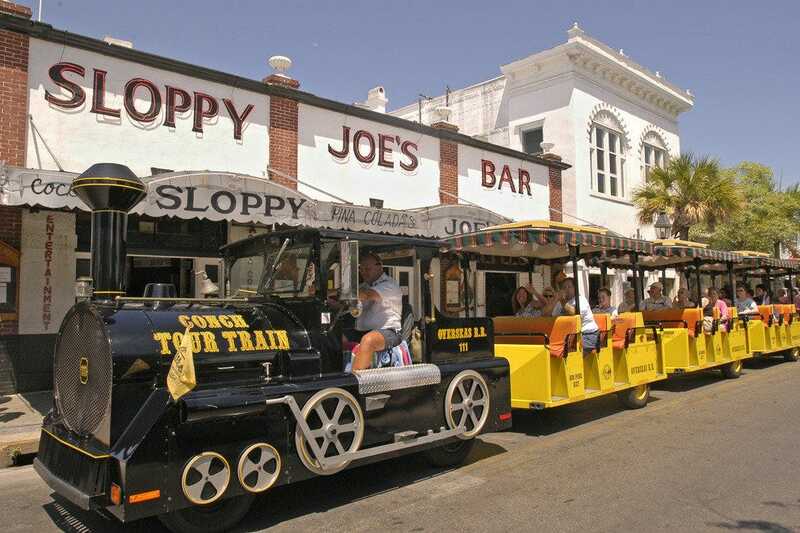 The quickest way to get the lay of the land is on the bright yellow Conch Tour Train. Their knowledgeable "engineers" entertain with an overview of the historic district and local folklore--like Robert the haunted doll. 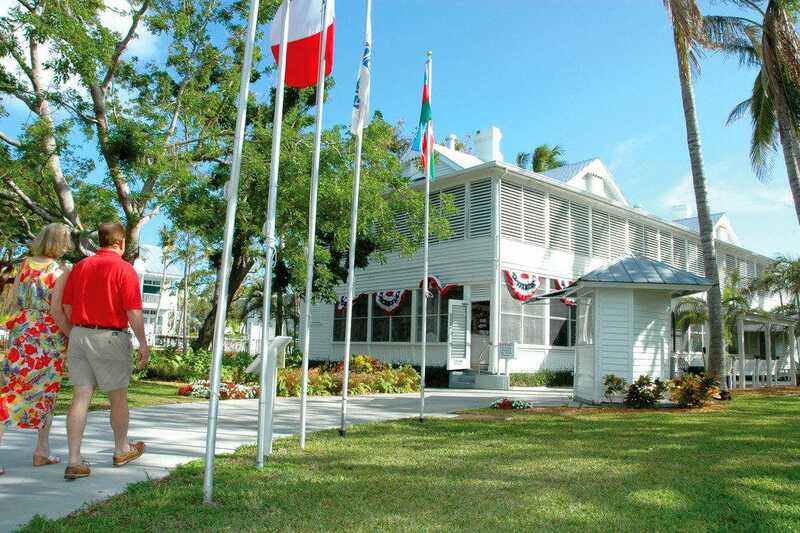 Dig deeper into Key West’s history as a military port by visiting the Harry S. Truman Little White House where Truman spent 175 days of his presidency. 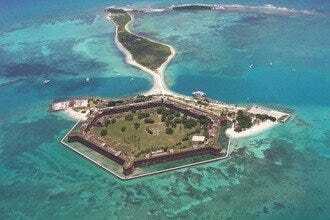 Even the best beach on the island is flanked by a Civil War Era Fort at the 54-acre Fort Zachary Taylor State Park, and a day trip to the Dry Tortugas National Park (70 miles off shore) offers snorkeling amid the ruins of Fort Jefferson. 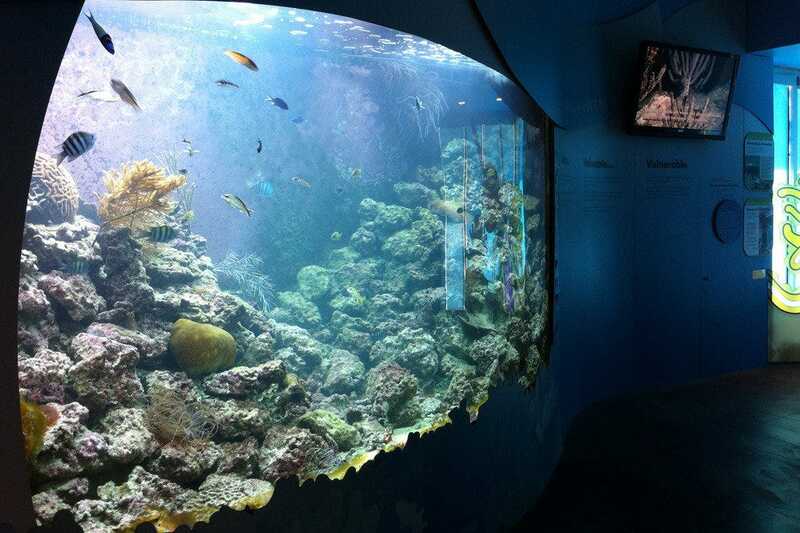 Just a few steps away from Fort Zachary, nature-lovers will delight in learning about the local ecosystem at the Florida Keys Eco-Discovery Center with its 2,500-gallon Living Reef exhibit. 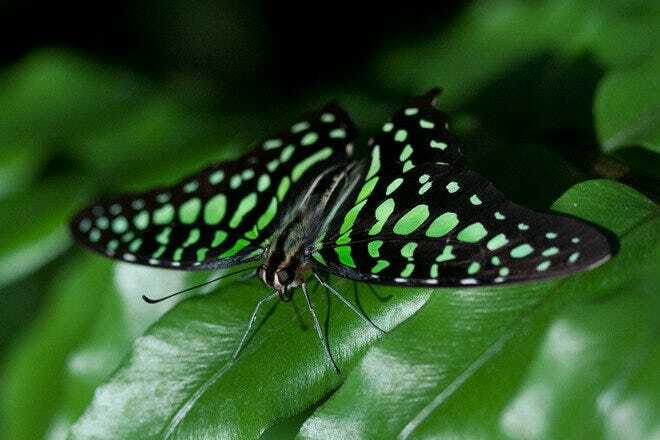 A must-see is Key West Butterfly and Nature Conservatory--a soothing garden sanctuary filled with over over 1,000 colorful winged creatures. Don't miss the two pink flamingos in the wading pool. 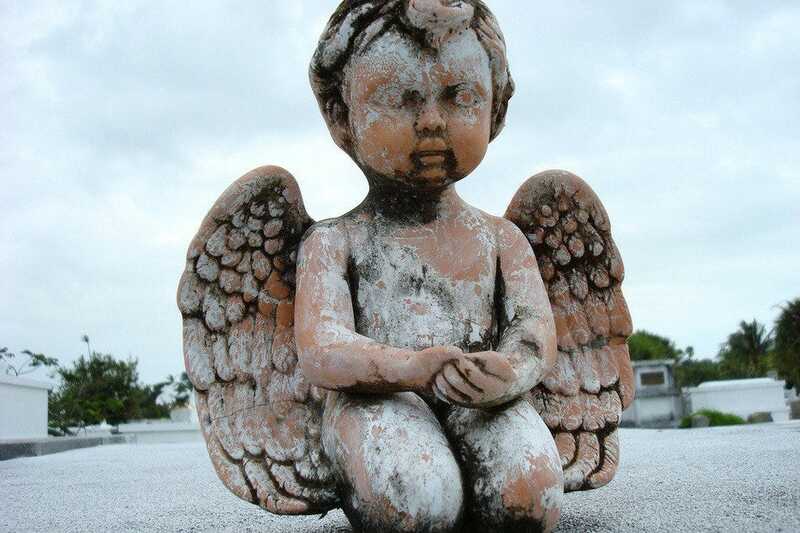 Nowhere is Key West's lively spirit more evident than in the city's cemetery. Cheeky epitaphs like "I Told You I Was Sick" and "At Least I Know Where He's Sleeping Tonight" cover the gravestones.The tombs are stacked above ground since the rocky soil made digging down impossible. The main entrance offers a map that details some of the more interesting plots, and an unusual amount of the tomb stones detail information about the deceased life. 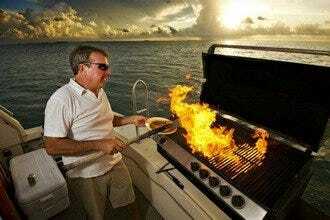 Go early in the morning or you'll be facing the scorching southern sun "dead on" in the afternoon. Online brochures are also available for those interested in planning ahead. 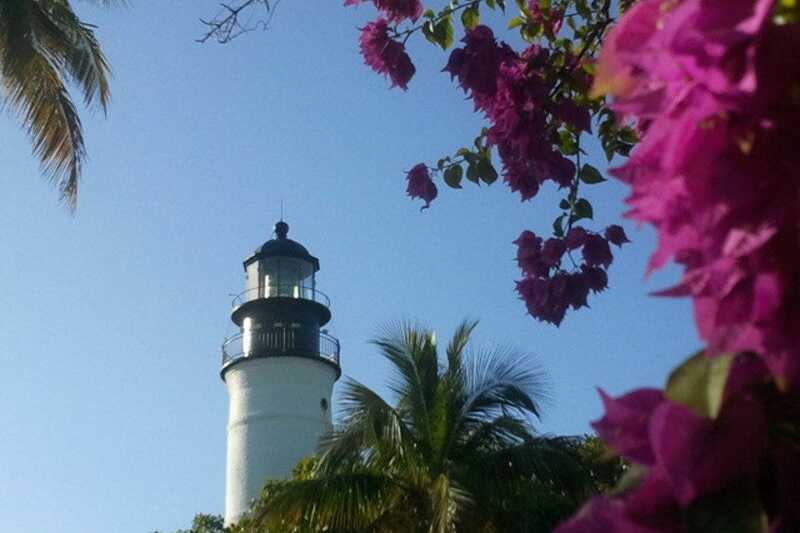 Key West's iconic lighthouse was built in 1847 and originally powered by 15 oil lamps that helped guide sailors to the island. Although it no longer serves as a functioning lighthouse, visitors can climb the 88 winding steps to the top for 360-degree views of the city and the ocean. Admission includes entrance to the museum (the former keeper's quarters), where audio and visual recordings are available as well as glass display cases of the previous owner's possessions. Photographs and quotes from lighthouse keepers and their families show ensure that the now obsolete way of life will never be forgotten. Note that it closes at 4:30 p.m., so don't try to wait for the sunset. While many lighthouses in the U.S. are not open to the public, Key West's tower invites visitors to explore and learn about the past. Just three weeks after arriving in Key West, Ernest Hemingway finished "A Farewell to Arms", and he and his wife fell in love with the island. They built their home in 1851, and it is now a National Historic Landmark. Beautiful gardens blooming with hibiscus and water lilies surround the property, along with a 60-foot swimming pool--an architectural wonder in itself. The house was the first on the island to have a swimming pool and indoor plumbing. Tours take one half hour and include many anecdotes about the writer and his life on the island. To top it off, over 50 six-toed cats roam the property. 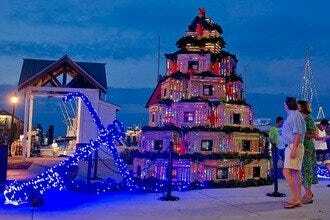 Take the guided tour which is included in the ticket price. You'll get more out of your experience. 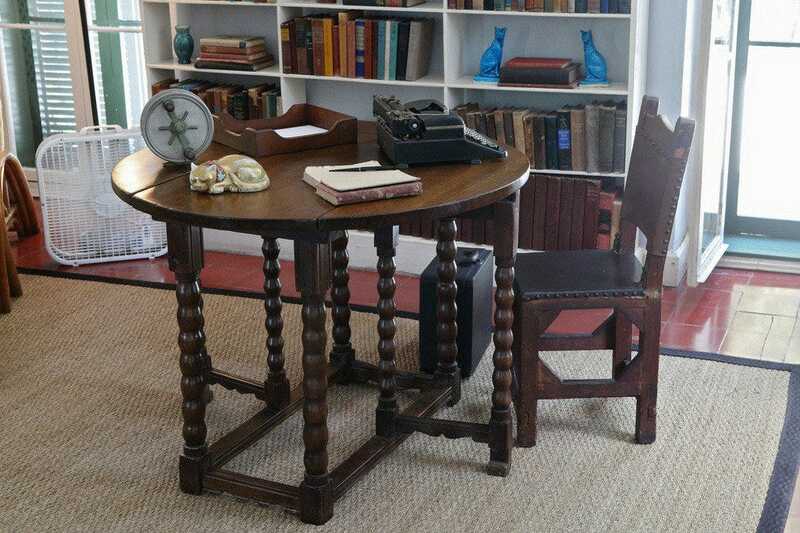 Looking into his former study, literary buffs and writers may find a little inspiration in this beautiful home, just like Hemingway did while living there. Key West has served as a presidential retreat since 1880 when Ulysses S. Grant visited the island. This house belonged to Harry Truman and his wife Bess. Truman reportedly despised living in Washington and viewed this as his sanctuary. Truman spent 175 days of his presidency here from 1946 through 1952, a stressful time where he faced post-World War II reconstruction and the beginning of the Cold War. High-ranking officials met with Truman here to discuss significant legislation such as the Marshall Plan and his fifth Civil Rights Executive Order. The house is a living museum that has been impeccably restored and is open to the public for tours and special events. The Conch Tour Train makes a lot of top 10 lists, and for good reason. While it may feel a little touristy, it's an easy way to get acquainted with the entire island and its history. The bright yellow train has been in operation since 1958. Their knowledgeable "engineers" will give you an overview of the historic district, covering 100 point of interest such as the Harry S. Truman Little White House, Southernmost Point, the conch-style architecture and more. They also provide an entertaining commentary on the legends of the city like Robert the haunted doll, who lives at Fort East Martello. When the museum admissions and snorkeling tours start to add up, free options are always the way to go. 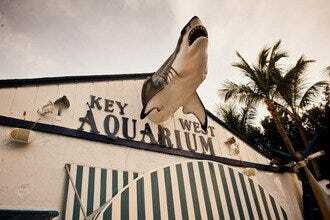 The Eco-Discovery Center features more than 6,000 square feet of interactive exhibits, which provide an up-close look into the ecosystems of the Florida Keys. Just a step away from Fort Zachary Taylor State Park, you'll find an interactive satellite map of the Keys, a replica of the Aquarius (the world's only underwater ocean laboratory) and an underwater video camera used for monitoring the health of a coral reef. The real star is the Living Reef exhibit, which includes a 2,500-gallon reef tank teeming with colorful living corals and tropical fish. Don't leave Key West without seeing the nightly Sunset Celebration on the Mallory Square Dock where the crowd is as colorful as the sky. 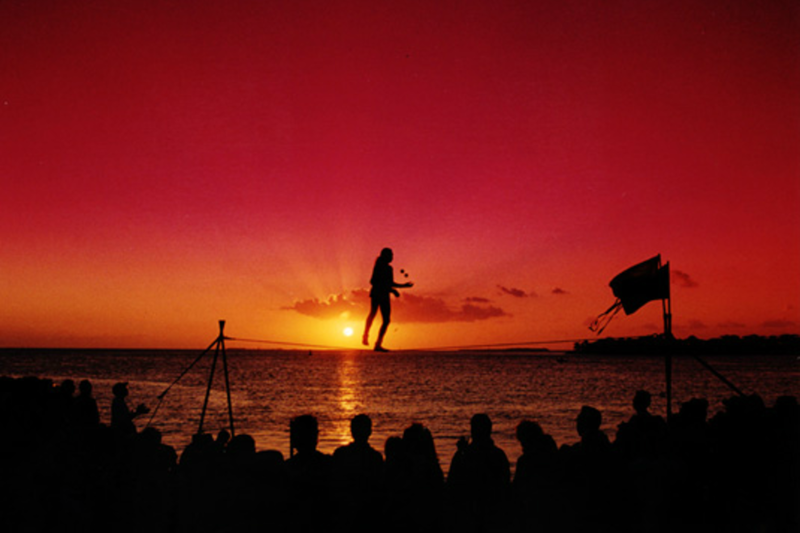 Entertainers like jugglers, tight-rope walkers, psychics and musicians all compete for your attention and illustrate one reason the island is nicknamed "Key Weird." Be sure to check out Dominique and his talented "flying" cats. Local artists have their wares on display like hand-crafted silver jewelry, painted t-shirts and underwater photography. Vendors sell everything from coconuts with straws to conch fritters, while the real star of the show sets a blazing trail to the horizon. Picture-perfect moments abound, and as the sun takes its final bow into the Gulf of Mexico, the crowd breaks into applause. 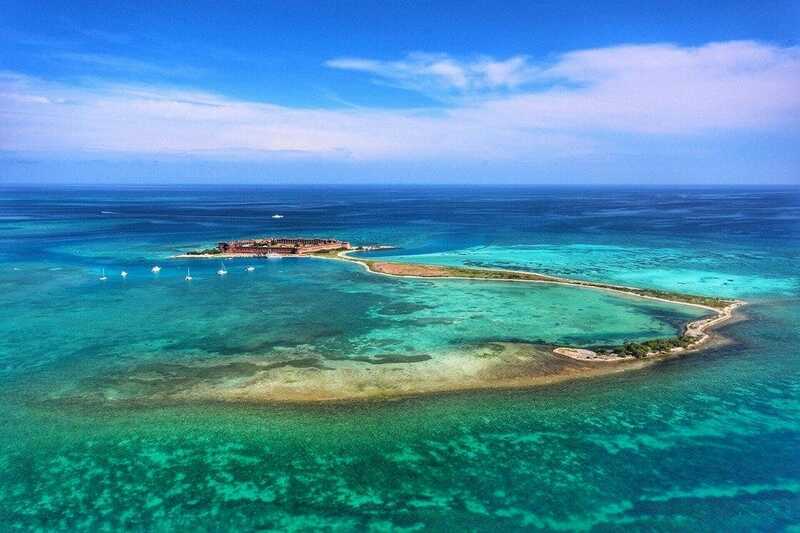 About 70 miles from Key West lies Dry Tortugas National Park, seven islands that straddle the Gulf of Mexico, Caribbean Sea and Atlantic Ocean. 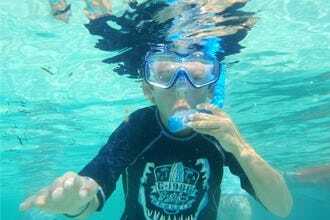 The shallow waters surrounding the islands are perfect for snorkeling amid the ruins of Fort Jefferson. Tour the fort to learn about its construction and Civil War prisoners like Samuel Mudd--the doctor who assisted John Wilkes Booth after his injury. This remote park is only accessible by seaplane or ferry. A half-day trip by plane runs $329 per adult, but offers a stunning bird's eye view. The Yankee Freedom II is only ferry to the park, starting from $175, which covers entrance, meals, snorkeling and the tour of Fort Jefferson. 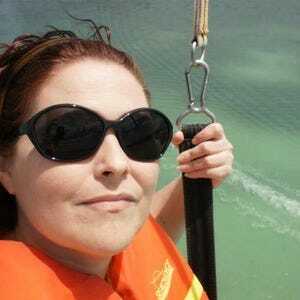 Soothing music, birds, turtles, fountains and over 80 species of butterflies make a relaxing break from Margaritaville. The entrance to the conservatory offers a wealth of interesting information about the life cycle and behavior of these stunning insects. Take a breather on a butterfly-shaped bench and try to get a close-up photo of a camera-shy Blue Morpho. You'll wind up staying longer than planned. Cocoons are on display in the glass-enclosed pupae room toward the rear that are clearly labeled with the species name. At any time, 1,200 to 2,000 butterflies reside in the conservatory, and if one chooses to land on you, it's a sign of good luck. Don't miss the two pink flamingos named Rhett and Scarlett hanging out in the Koi pond. A common misconception travelers have when planning a trip to Key West is that there will be sparkling white-sand beaches awaiting them. In fact, large natural beaches are few and far between. 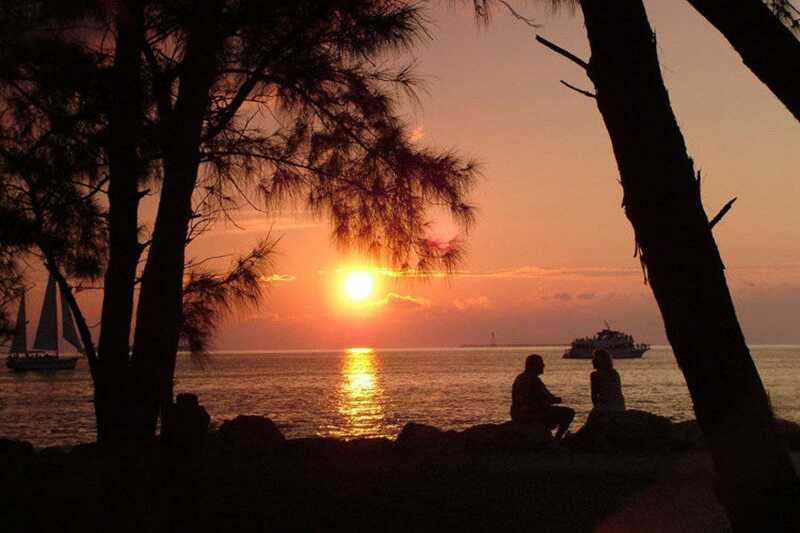 Fort Zachary Taylor is one of the exceptions and is blessed with a well-maintained, sandy beach with chairs, umbrellas and water sports equipment for rent. Completed in 1866, the fort played important roles in the Civil War and Spanish-American War, and visitors can tour the National Historic Landmark every day at noon. This 54-acre state park is also home to several nature trails, a stunning coral reef for snorkelers, picnic tables and a beachfront café. Fishing is permitted in certain areas. The three-story fort once held the largest collection of Civil War cannons in the U.S. (many of which are still there). Admission to the park is $2.50 when walking or biking.